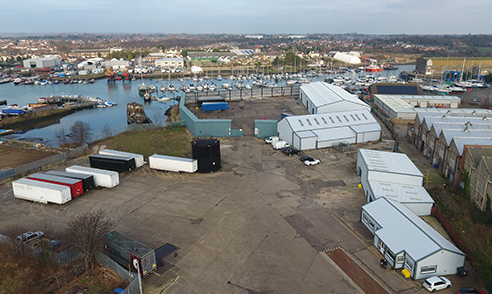 It is twelve months since we purchased the site at Nelson Wharf and it has been a very challenging year. The investment and expansion of our company was supported by New Anglia Local Enterprise Partnership through the Growing Business Fund and has seen the creation of 8 new jobs since the project started. There has been some fantastic work achieve by our suppliers, AC Bacons, Gilberts Builders, Gilberts Electrical and MFWFF Electrial in refurbishing the buildings. Our offices have been operating form this site since June 2016, with the cloth store and workshops coming in July and August respectively. The main warehouse is virtually complete and we are begining to bring our operating sets over from Brampton and Ellough. What has been acheived in 2016 is just unbelievable and the Directors of Scenic Projects would just like to pay tribute to our loyal staff and customers. It has been a challenging period, especially with the increased volume of business seen during the year, but we managed to do all this with the minimal distrubtion to our day to day operation. Scenic Projects would also like to thank our legal team, accountants, funders and supporters, together with the New Anglia Local Enterprise Partnership for making this possible.